FEATURES * Earth Resistance and Earth Voltage measurement. 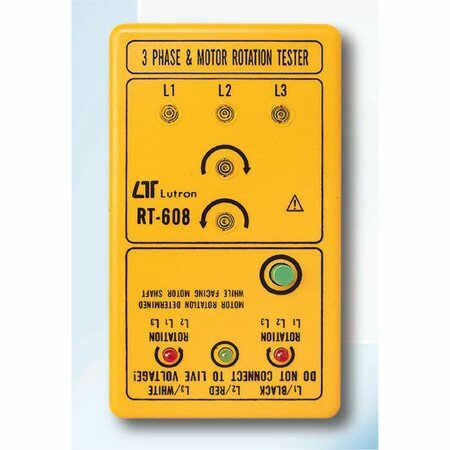 * 3 ranges for earth resistance measurement 19.99 ohm, 199.9 ohm, 1.999 K ohm. * 0 to 199.9 V for earth voltage measurement. * 18 mm, large size LCD display. * Data hold. * Built-in over input indication. * Durable & portable housing plastic case with the front protective cover. * Complete testing accessories included. FEATURES * Portable line frequency monitor, easy carry out & operation. * Wide measuring rage from 0.5 Hz to 500 Hz. * 0.01 Hz, high resolution * Quartz crystal time base, 0.05 %, high accuracy. * Wide input voltage 5 to 250 ACV. * LCD display allows clear readout even at high ambient light levels. * Sine wave or square wave input signal are available. * Last value, Maximum value & Minimum value with recall. FEATURES * 4 terminal devices for accurate measurement of very low resistance. * Ideal for measuring the resistance of components precisely. * Wide measuring range, 0.01 m ohm - 20K ohm, 7 ranges. * 20 mm, large size LED display. * Built-in over input protection. * Durable bench type housing case. * Built-in over input protection.